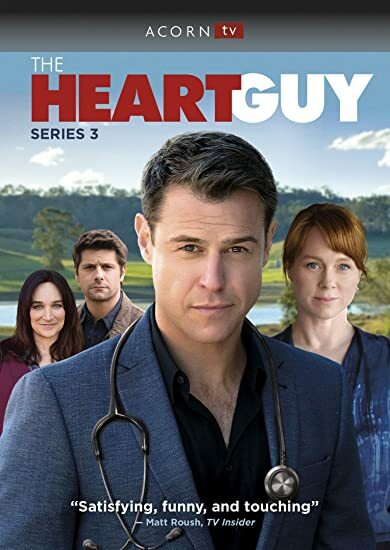 This hit Australian dramedy stars the “effortlessly charming” (Boston Herald) Rodger Corser (Glitch, Rush) as Hugh Knight, a brilliant but arrogant heart surgeon forced to give up his high-flying job in Sydney to work as a GP in his rural hometown of Whyhope. In Series 3, Hugh’s probation for his misdeeds is coming to a close, but he has mixed feelings about leaving his budding relationship with hospital boss Penny (Hayley McElhinney, The Babadook). THEN SEND IN YOUR NAME AND ADDRESS TO contests@efilmcritic.com. Put "I GOT A HEART GUY" in the subject line and cross your fingers. We will draw names and one of the DVD packages from Acorn Media could be yours. Only 1 entry per household.